Mouth guards are important for children who play sports. They help keep teeth from getting damaged during physical activity. What is a mouth guard/ sports guard? A sports guard/ mouth guard will protect your child’s teeth from damage while they are playing sports. Generic sports guards are available for purchase at most sports stores, however, they are not fitted to your child’s teeth and are less effective and comfortable than a custom made dental mouth guard. A custom made dental sports guard will provide optimal protection and comfort. Why is a mouth guard/ sports guard important for a child to wear? 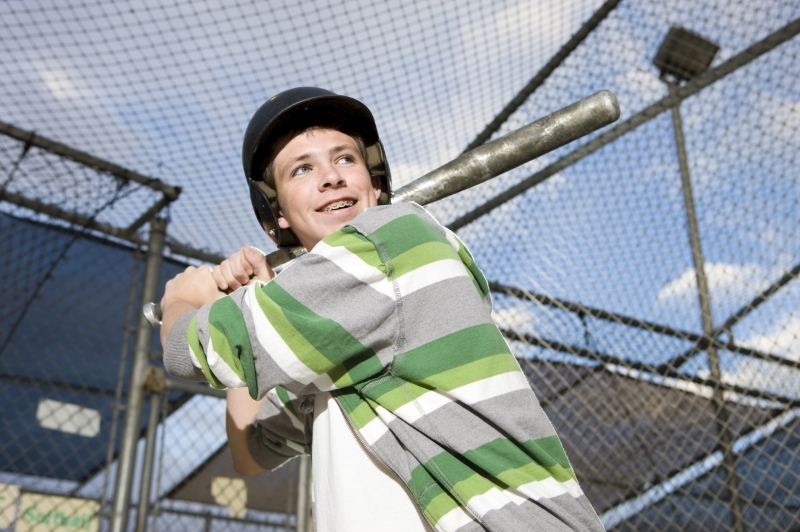 If your child plays sports, wearing a sports guard will protect their teeth, mouth, neck, and jaw. Mouth guards can even provide some protection for their head and help to prevent concussions. At Country Hills Dentistry, we believe that sports guards should be an essential piece of children’s equipment for all sports with a risk of falls or contact with other players or equipment. How is a custom mouth guard/ sports guard made? Your child will need to attend two short appointments at our office to have a custom mouth guard created. During the first appointment, our caring and experienced team will take an impression of your child’s teeth. The impressions will be sent to our lab where the sports guard will be created. When the sports guard has been created, we will need to see your child for a second appointment. During the second appointment, we will check the mouth guard to ensure it fits snugly and is comfortable to wear. You will leave this appointment with a custom fitted mouth guard which will provide optimum protection for your child’s beautiful smile while he is out having fun on the rink or the field. Will my insurance plan cover the expense of a mouth guard/ sports guard for my child? Many insurance plans will cover some or all of the expense of a children's sports guard. We suggest you contact your insurance provider to discuss whether your insurance will cover some or all of this cost.